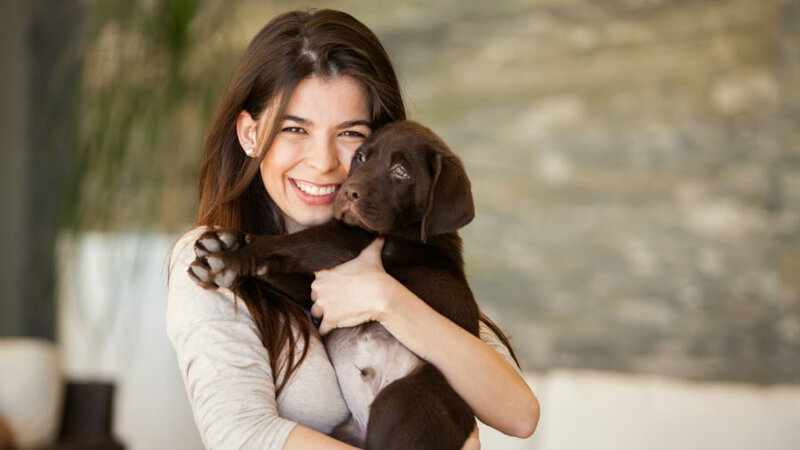 According to a recent study published in the journal Psychology Today by Stanley Coren, dogs get stressed and anxious while being hugged. Dogs can be really frightened when they feel immobilized by a hug because they are made for swift running. The feeling of comfort humans get when they hug their dogs it’s not mutual, instead of being relaxed it appears that most dogs hate this human expression of affection. Dogs express they’re uncomfortable in plenty ways: they can bare their teeth –which is clearly a response of displeasure –, turn their heads to avoid eye contact, close their eyes in a submissive posture or show half-moon eyes, they might lower their ears and lip lick or lick hugger’s face as well – if you thought that your dog licks you as a form of giving you a kiss, now you know that what they are really doing is asking you to leave them alone. Core, the author of the study, and his colleagues collected 250 random photos from Google and Flikr featuring people hugging their dogs to analyze the canines’ body language for stress and anxiety. The researchers only used pictures where the dog’s face was clearly visible and gave each photo one of three possible scores. Score one was for dogs showing one or more signs of stress and anxiety, score two for dogs that appeared to be relaxed and comfortable while being hugged, and score three was for dogs with an ambiguous or a neutral response. The results exposed that about 82 percent (%) of the dogs showed signs of discomfort. “ I can summarize the data quite simply by saying that the results indicated that the Internet contains many pictures of happy people hugging what appear to be unhappy dogs,” Core said. In all, 81.6 percent of the photography showed dogs with at least one sign of discomfort, stress or anxiety, explained Coren. Just 7.6 percent of the photographs showed dogs that appeared to be comfortable while being hugged. And the remaining 10.8% were showing neutral or ambiguous responses. “I suppose that one aspect of the data that struck me as interesting comes from the fact that the photographs that I used were obviously posts by individuals who wanted to show how much they cared for and shared a bond with their pet. This means that the people who were doing the Internet posting probably chose photos in which they felt that both the person and the dog looked happiest,” Coren noted. According to Coren, the result of the studies seem to accord with other research that suggests that people, and especially kids, have some difficulty reading signs of stress and anxiety based upon their dog’s body language. He recommends pet owners to petting them or giving them treats instead of hugging them to show the love because a hug can even cause a dog bite.